Arthritis is one of the many signs of aging that causes damage to our knee and hip joints. This wear and tear on our body and joints causes chronic pain and often limits our ability to function our daily lives pain free. Joint replacements are an option to help restore people to active, normal and pain free lives. 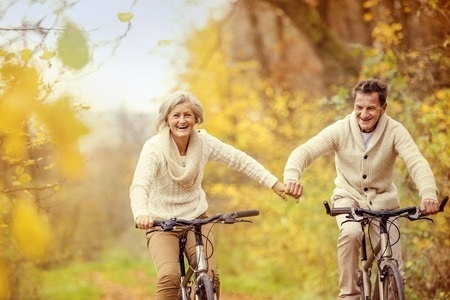 After the surgical procedure and physical therapy, most patients are able to return to their active lifestyles pain free and able to enjoy life to the fullest. The Joint Replacement Center at Baylor Frisco where, Dr. William Montgomery and Dr. John Barrington perform knee replacement surgery and hip replacement surgery, and where Dr. John McGarry performs knee replacement surgery, is designed to provide an overall comprehensive care for their patients. Their compassionate approach places the patient at the center of extraordinary care and outcomes that exceeds our patients expectations. Deciding to have a knee replacement surgery or hip replacement surgery is a big decision and we understand your need to know what the entire process looks like and want you to feel like you can ask as many questions as you need. Dr. Montgomery, Dr. Barrington and Dr. McGarry pride themselves in taking care of their patients, answering all questions and makings sure you feel comfortable with your decision. Our Joint Replacement at Frisco patients will continue to receive post-operative care as needed by our specialized orthopedic staff and orthopedic surgeons. Multi-center trial studies with thousands of patients show excellent long-term benefits from joint replacement. Just a little information regarding joint replacements, in patients 55 and older who had a total knee replacement, 93 percent are still seeing the benefit and doing well 20 years later. For patients who had a total hip replacement, 95 percent are still benefiting and doing well after 20 years. To learn more about our surgeons who perform knee replacement surgery click on their name. To learn more about our surgeons who perform hip replacement surgery click on their name. To learn more about knee replacement or hip replacement surgery watch our education videos under Joint Replacement Surgery. To schedule an appointment with our joint replacement physicians call 972-250-5700 or visit the following contact us appointment request and someone will call you asap.